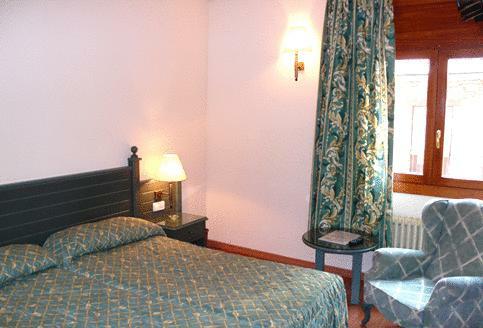 Choose the accommodation which best suits your tastes among all the rooms of the Sant Jordi Andorra Hotel. Enjoy the comfort of our rooms in the centre of Andorra La Vella booking here, on the official website of the Sant Jordi Andorra Hotel. The double standard room of the Sant Jordi Andorra Hotel is the ideal accommodation for a holiday as a couple to the capital of Andorra. It is equipped with heating, bathroom, hairdryer, satellite TV, wooden flooring, telephone, views to the city and to the mountain it´s possible to book a cot on request at cost upon arrival. 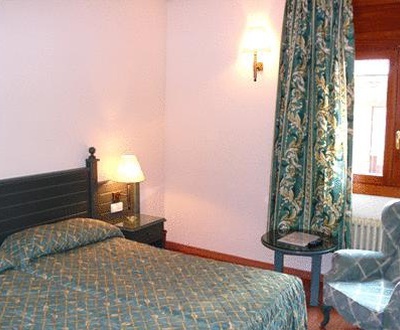 room in Andorra for 2. .